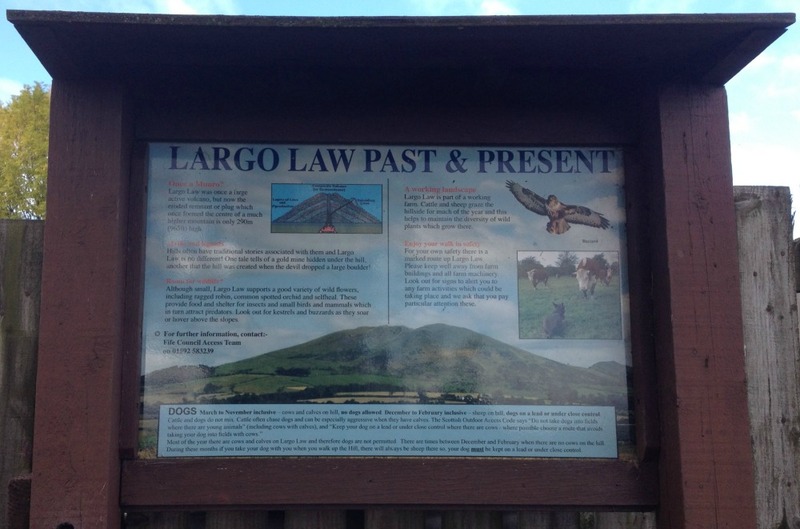 Largo Law is the best example of an extinct volcano you will find anywhere in Scotland. 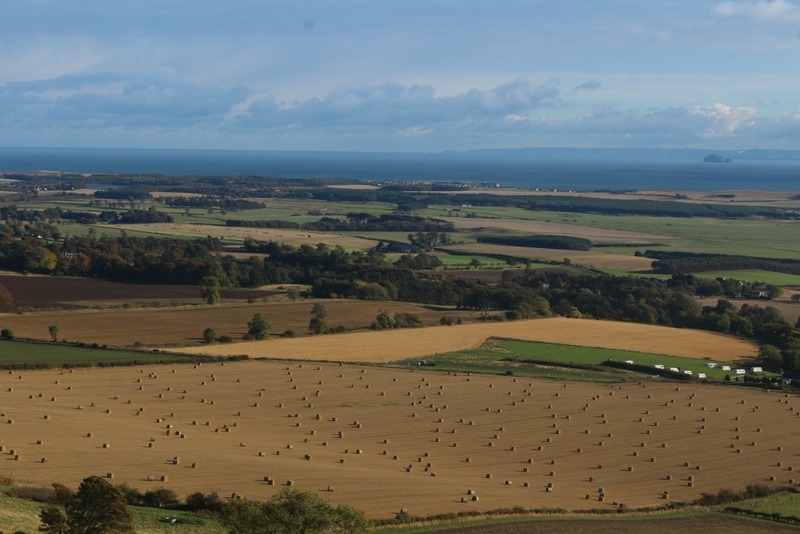 Rising 950 feet above the East Neuk village of Upper Largo On reaching the top you are treated to some superb views of Leven, Elie, St Monans, Pittenweem, Anstruther and across the Forth towards North Berwick and Edinburgh. 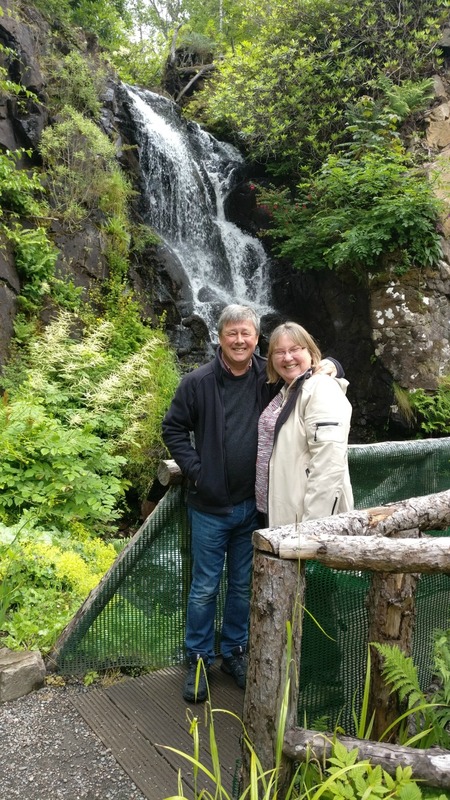 This is a 20-25 minute drive west along the A917 from Crail and Sandcastle Cottage or you can take the 95 bus alighting in the centre of Upper Largo. 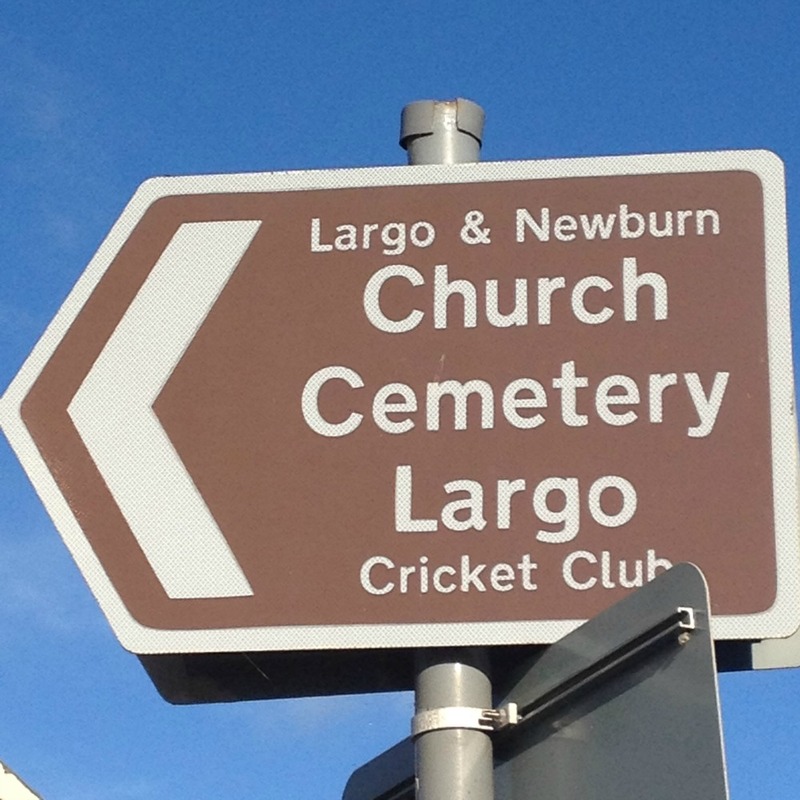 Follow the signs from the main street for the cemetery where there is ample parking. There is one path up and down. This is through farm land so please follow the country code at all times. At the start of the walk you will find an information board which is worth taking a few minutes to read. 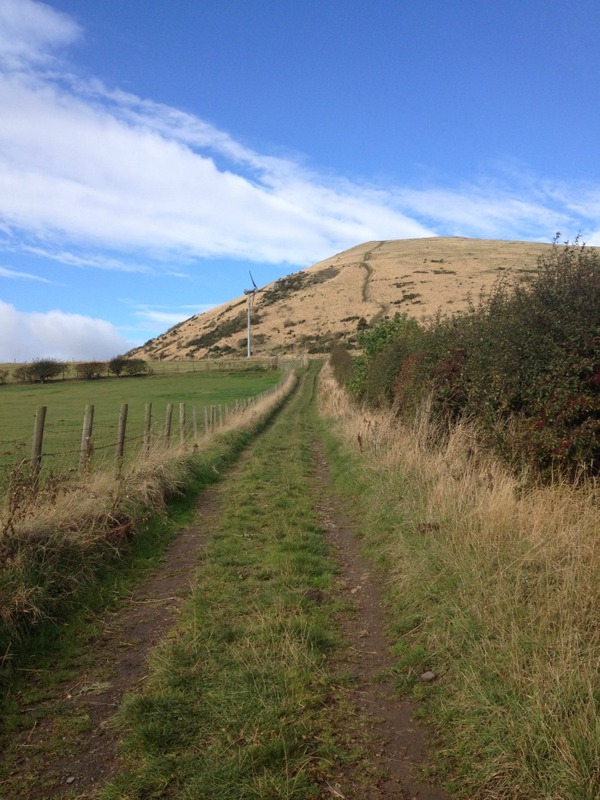 The route is well signposted through Chesterstone Farm and all the way to the top. At first glance the climb looks easy however this is a steep climb and should be treated with respect. 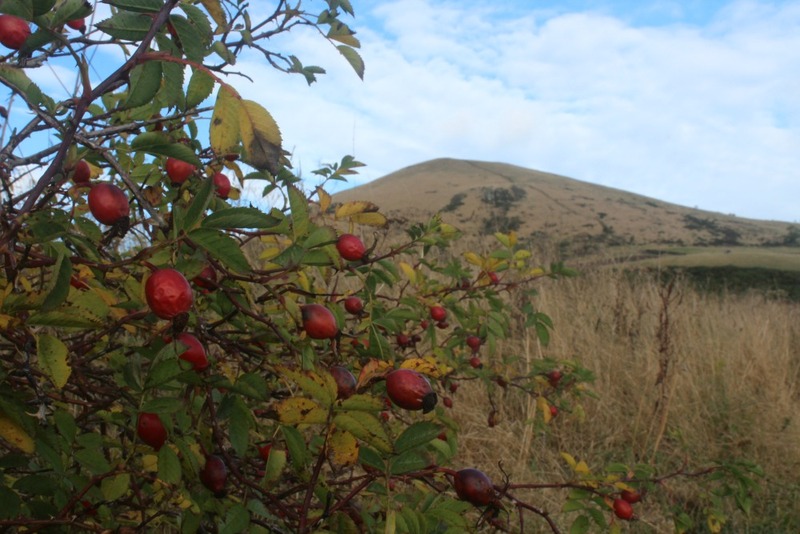 A good pair of walking boots or stout shoes as well as waterproofs and warm clothing is recommended. It may be warm when you start but it is cold on the top even in summer. The path can be muddy, slippery so trainers or soft shoes are not recommended. I used my walking pole and was glad of it on the descent from the top. 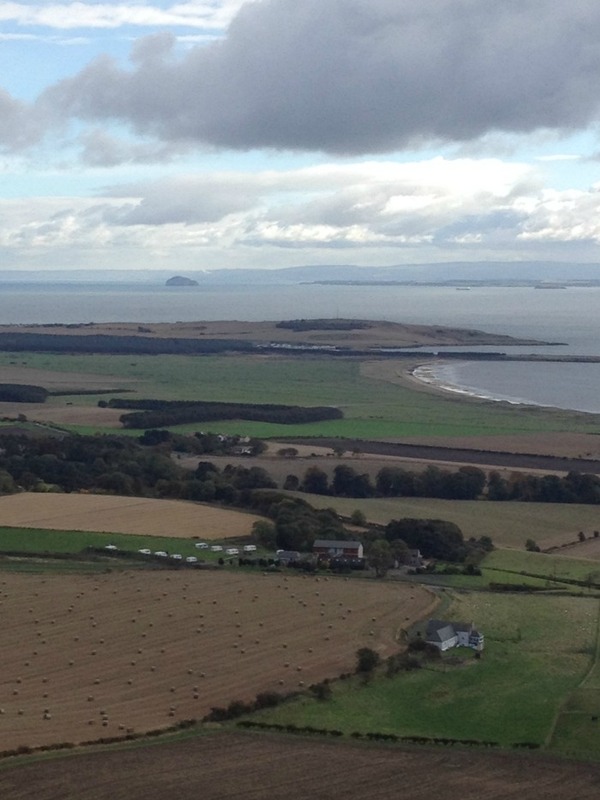 The views on the way up are quite spectacular as the East Neuk villages and the Bass Rock are spread out before you. 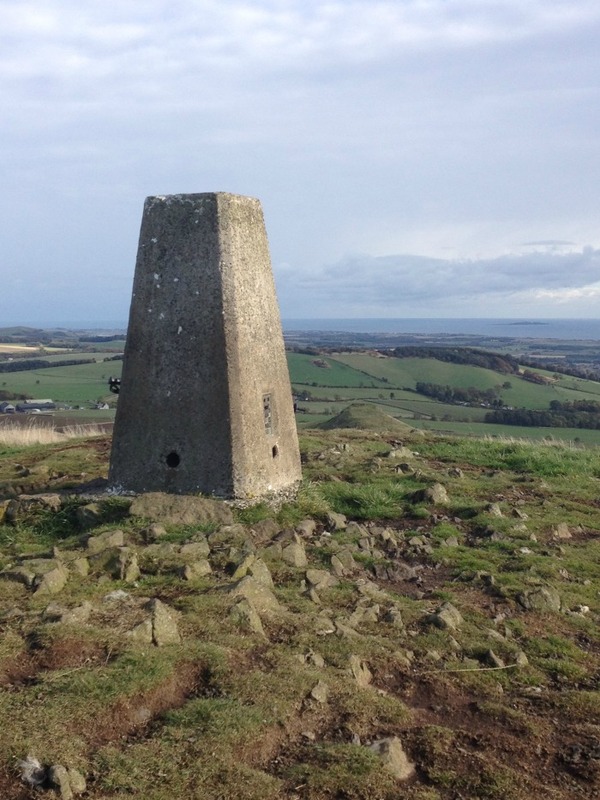 At the top you will find this concrete block or trig point. The steep path can be seen from the paddock at Chesterstone Farm. 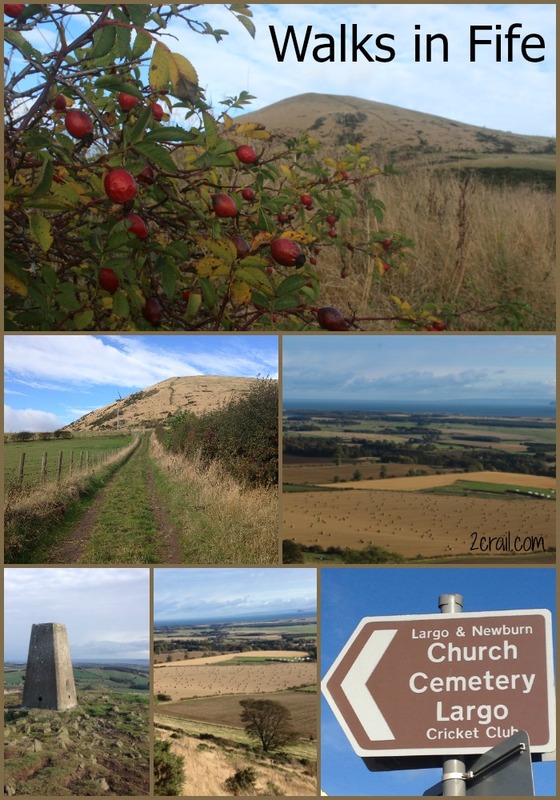 This is great walk with rewarding sea views and open countryside. 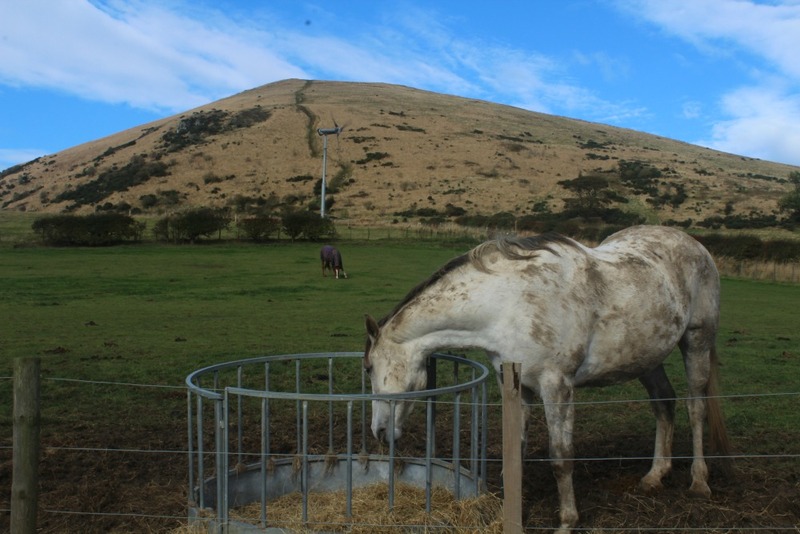 If you want to climb Largo Law you may wish to do this on a short break or longer stay in the East Neuk of Fife. Just check your dates by selecting them by following the link below. We look forward to welcoming you to Sandcastle Cottage.